I read that Facebook just started testing a new feature called “Buy With Friends”. It seems that the feature, which only works today with virtual goods inside games, let’s users get discounts on items that their friends buy. When a user makes an in-app purchase of a virtual product using Facebook Credits they are offer the option of sharing the purchase in their newsfeed. If they share it their friends can then buy the item directly in the newsfeed at a discounted price. According to an article in Forbes, Facebook reported that in early tests more than 50% of users chose to share their purchases with friends. They didn’t say what the downstream click through was though, but I’d assume that it would be reasonably high. Facebook Credits only work for virtual goods today and these tests are in-app but the infrastructure needed to do this with actual goods would be the same. In our 2011 IDC predictions we started to look at something we’re calling converged commerce. The idea is that online, off line, mobile, social all start to converge around commerce and create a very different shopping experience. Social shopping / social buying is a critical element of this new converged offering. (We plan to talk more about converged commerce at a breakfast briefing on March 2, 2011 in Burlingame, CA). One of my favorite examples of what the new shopping experience might look like goes something like this: “My daughter walks into a clothing retail store, let’s say Urban Outfitters, checks in on FourSquare (or perhaps the store network reads a RFID tag in her phone and checks her in automatically). The check in triggers a response from the store network, recognizes her as a frequent shopper and loyalty program member, automatically showing her current loyalty status and any special offers / coupons on her mobile device. The in store network also automatically alerts a clerk of her presence. She finds a pair of jeans she likes and reads the barcode or QR code with her phone which checks her Facebook friends buying history to see who has previously bought them and showing her several friends pics wearing the item. It also checks Facebook to see if there is an available group discount. She is sent a message from Facebook that the item is available through the virtual Urban Outfitters Facebook store at a substantial discount. She proceeds to try on the pants, snap a pic which she shares with some of her Facebook friends by uploading it to Facebook and getting immediate responses / recommendation from any that are online. She decides she’d like a pair but before she finalizes the transaction she runs the barcode on an app like Redlaser to see if it’s available somewhere else online for less, like say Amazon. If it is she purchases it from the online store, having it shipped to her and puts the item back. but if it’s not, she completes the transaction with Facebook Credits online or in store using her phone and near field communications (NFC). The store is alerted that the transaction is complete and she takes the jeans home”. From my example there are a bunch of different implications for the new commerce experience. The store becomes an extension of the virtual store and vice-versa. The store is also one potential fulfillment method but only one. Coupons are embedded in the process rather than going to a Groupon or LivingSocial like site. Those sites could actually become a part of the system though, or could be taken out of the equation by a network like Facebook (which may be one of the underlying reasons they’re testing the current offering). The mobile device is critical to the process as is the ability to seamlessly connect to and interact with her social network. The mobile also provides the location data that enables the store to interact with her in real time and with NFC can complete the transaction. For the brick and mortar store it’s essential that they grow to include the online part of the experience. I read somewhere that Best Buy attributed apps like Redlaser and the ability to comparison shop in the store to online alternatives with a loss of revenue this past Holiday season. Where is Facebook going with its current test, I’m not sure, but it’s not hard to envision a much deeper role for the Network in a rapidly evolving shopping experience. 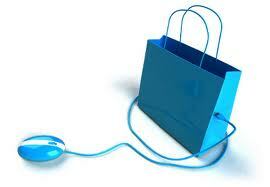 I am convinced that social will be one of the key components to the new shopping / commerce experience. Has anyone ever tried buying anything off http://grouponbot.com ? Does it work even if your not in the same city? I find it funny that customers would check in and like products on Facebook before store clerks are notified of their presence. But the instant connectivity and constant options available to shoppers is an interesting development. Converged commerce is definitely on my mind. Thanks for the great article! Thanks for the article Michael, I find Facebook’s move towards social shopping very interesting. IDC’s findings on converged commerce also present some very intriguing findings. With over 5 billion mobile users, social networking on the go is becoming a top priority. At my company, Cherple, we aim to go beyond the 1/2 billion mobile Internet users and smartphone limitations behind mobile social networking, by utilizing a technology we already know and love, SMS or texting. By using SMS, we can deliver the same social communication services to those who do not have smartphones. SMS provides the perfect channel to keep “dumb phone” users engaged in social networking while on the go. This is appealing to both “dumb phone” users as well as advertisers, as we can offer in-text ads, which ensure views, unlike the haphazard banners you see on Facebook. Thanks for the great read, I look forward to seeing SMS continue to grow as the next big social communication tool.